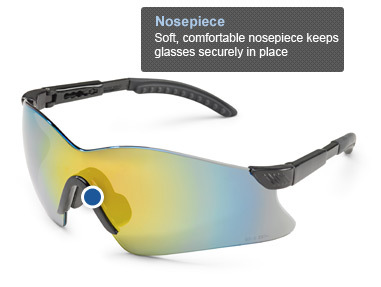 With a sleek, swooping style, Hawk offers durable, wraparound impact protection in the workplace. 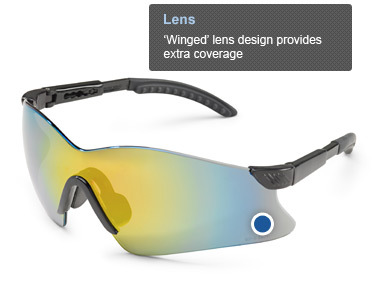 Frameless, one-piece “winged” lens design offers extra side protection. 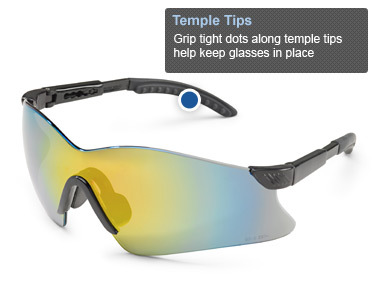 Flexible vinyl temples with grip-tight dots prevent slippage.